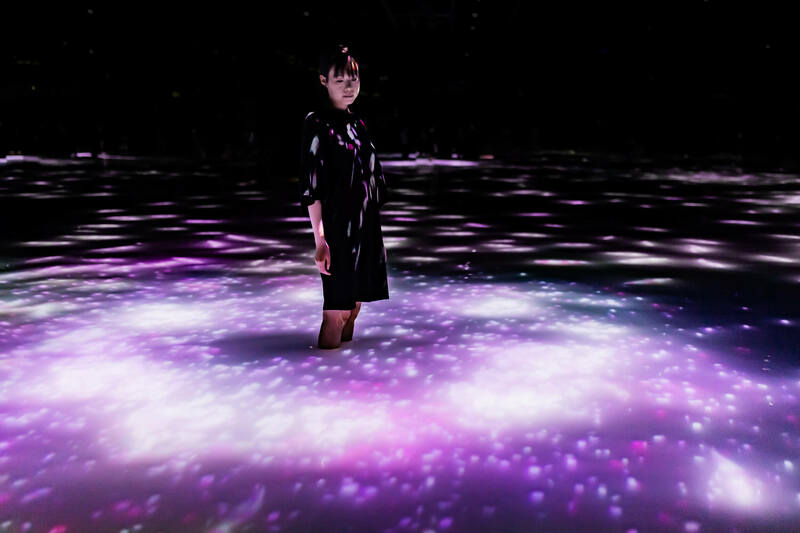 teamLab Planets TOKYO DMM.com, which is located in Toyosu, Tokyo, is a museum of creative art where you become part of the exhibition. There are a total of seven creative pieces; four of which have “Body Immersive” as their main concept. The seven pieces together make it the “Mizu ni hairu Museum” (A museum where you enter the water). One attraction is called the “Infinity Drawing on the Water Surface Created by the Dance of Koi and People”. 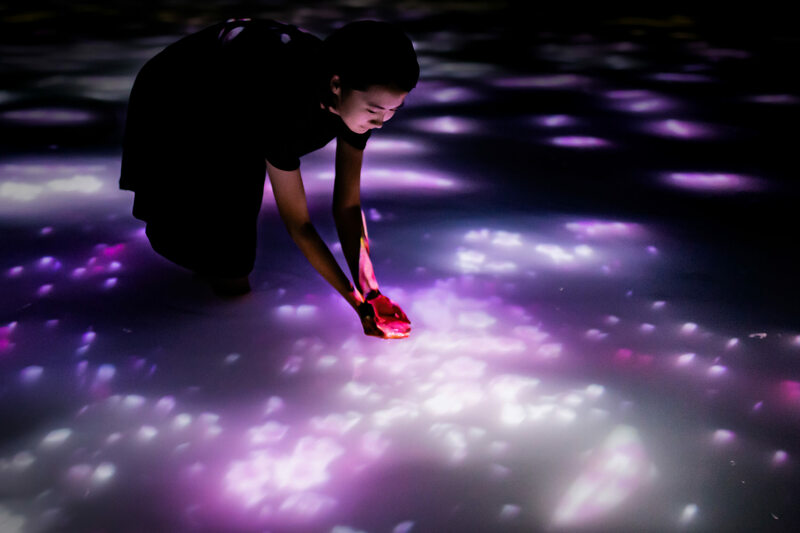 Here, visitors enter barefoot and are invited to walk amongst the projected images of koi fish. From 15th March to mid April, this attraction is going to be changed to cherry blossoms ー come enjoy this fantastical attraction! The koi fish that swim for eternity are affected by the visitors who walk through the water. The koi fish then affect other koi fish whilst swimming. When they bump into a person, they burst into cherry blossoms and then dissipate ー just how flowers bloom and die over the course of the seasons every year. 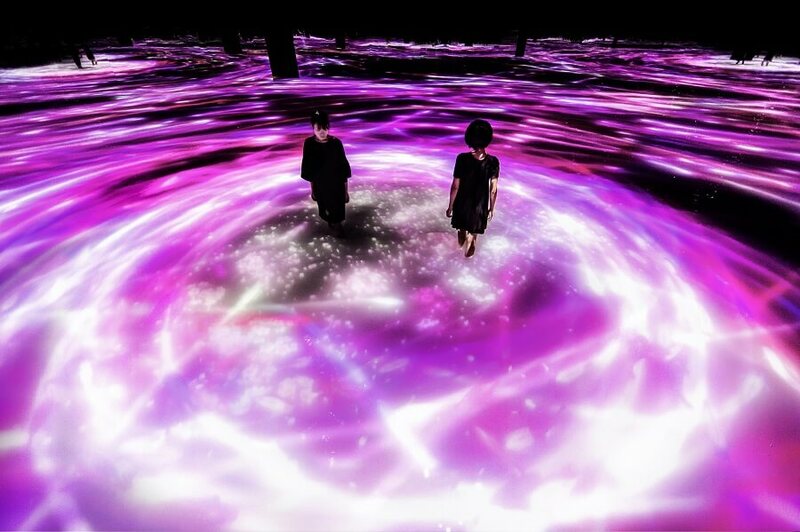 Enter the water and become part of the exhibition! This museum offers you a really fun experience so don’t miss out on this spring-limited attraction!